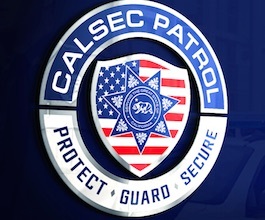 Calsec Security Patrol Services is a Veteran Owned and Operated Small business. We are a fully licensed and insured Security Guard Company serving all of Southern California. For reliable and affordable security protection, depend on the experts at Calsec Patrol. Our experts have more than 40 years of combined experience in the Law Enforcement and Security industry. We provide exceptional protection for businesses, private residences, and individual clients. Trust our professional staff to keep you and your property safe 24 hours a day. MyLakeElsinore is part of Burg Network, a Southern California Business Advertising Network.